This week's song is A Couple of Swells performed by Judy Garland and Fred Astaire in Easter Parade (1948). 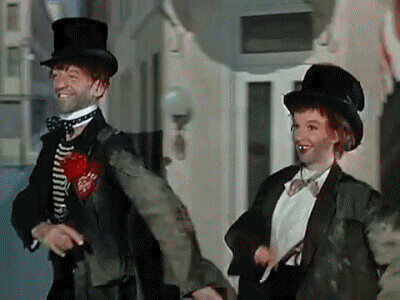 Judy Garland and Fred Astaire's comic number, A Couple of Swells, is one of the highlights of Easter Parade, but composer Irving Berlin had a different number in mind for this scene. 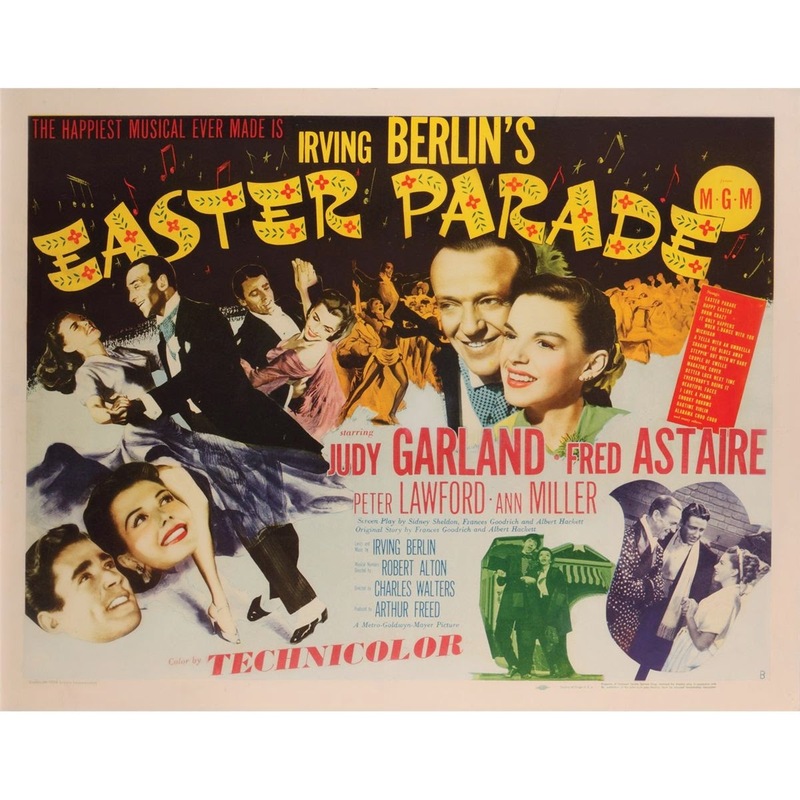 Easter Parade tells the story of professional dancer Don Hewes (Astaire), who decides to make inexperienced Hannah Brown (Garland) his new partner, after the elegant Nadine Hale (Ann Miller) pursues her own career. The arrogant Hewes believes he can make anyone into a graceful ballroom dancer, but he strikes out with Hannah until they perform a knockabout vaudeville number that reveals her comic talents. At the beginning of Easter Parade , Astaire dances in the elegant ballroom style that is associated with his highly successful partnership with Ginger Rogers. 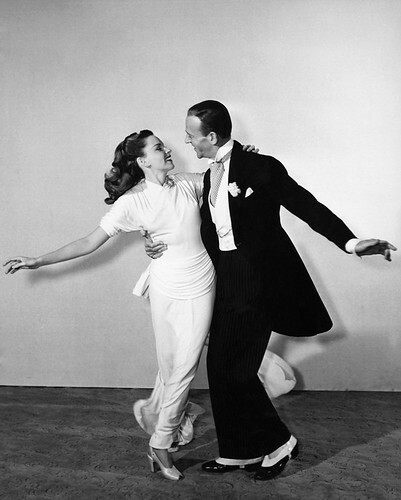 Astaire and Miller are the picture of sophistication and glamour while dancing to It Only Happens When I Dance With You and Astaire has one of the most spectacular solo numbers in his career with the show-stopping Steppin' Out with My Baby. Astaire abandons his white tails and top hat for the A Couple of Swells number, and it's a great deal of fun to see both he and Garland having such a good time on screen. Fred Astaire and Judy Garland perform A Couple of Swells in Easter Parade (1948). Berlin originally planned another number -- the romantic duet Let's Take an Old-Fashioned Walk -- for the scene, but producer Arthur Freed convinced Berlin to write a song that would showcase Garland's comic talents. Freed suggested a hobo or "tramps" number. These types of songs were popular in turn-of-the-century vaudeville, the era depicted in Easter Parade. Berlin, who had considerable experience writing novelty tunes for Tin Pan Alley, knocked out We're a Couple of Swells in about an hour. Judy Garland and Fred Astaire in a publicity still for Easter Parade (1948). Berlin never let a good song go to waste. He re-purposed Let's Take an Old-Fashioned Walk for his 1949 musical, Miss Liberty. The song became a popular hit when Doris Day and Frank Sinatra recorded a duet the same year (clip below). Garland had a wonderful time filming A Couple of Swells. Garland always had a rich sense of humor, and she enjoyed blacking out her teeth and wearing grimy make-up for the number. Garland always performed the song at her legendary concerts, usually in full hobo costume. Here she is in 1965 performing at the Hollywood Palace. A Couple of Swells is still a popular number for comic duos. Just check out YouTube and you'll find plenty of performances at fundraisers and community theaters. A Couple of Swells was also a popular number for the many variety shows that aired during the 1960s and 1970s. Here's Julie Andrews and Sammy Davis Jr. performing the number during a broadcast of The Julie Andrews Hour.